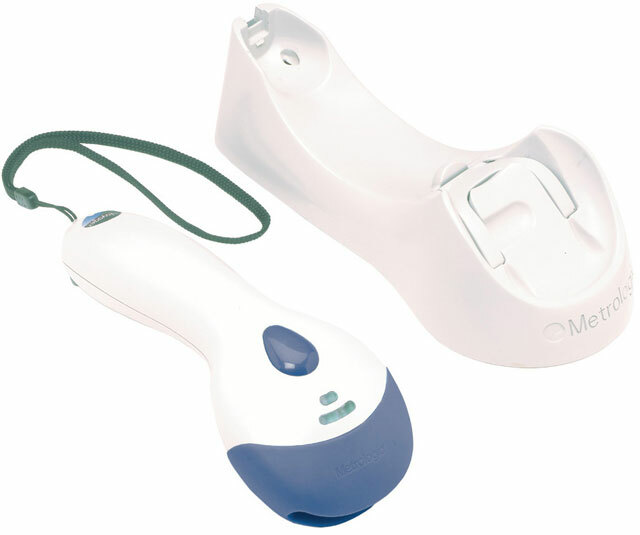 Metrologic MS9535 VoyagerBT - USB kit, 1D Laser, Cordless. Includes scanner, cradle, USB cradle to host cable, power supply, and battery. Color: White. Great barcode scanner for keeping track of inventory! Fast, easy, and sufficient! The Metrologic MK9535-79B538 is also known as Metrologic Instruments	MET-MK953579B538	or MK953579B538	.